RIA-E100 is configured with out of box control. No need to launch any files from host PC. Turning ON robot will launch minimal file which includes base controller, IMU and teleop using JOY stick. 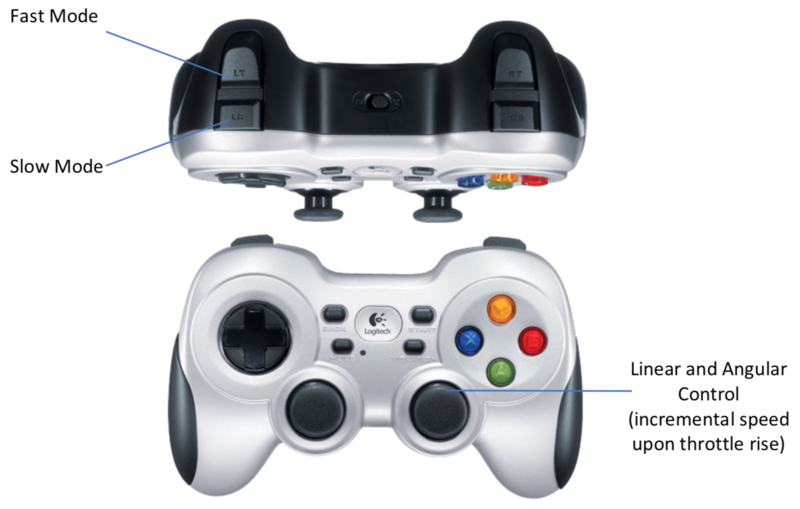 It is integrated with JOY stick controller which is from Logitech.